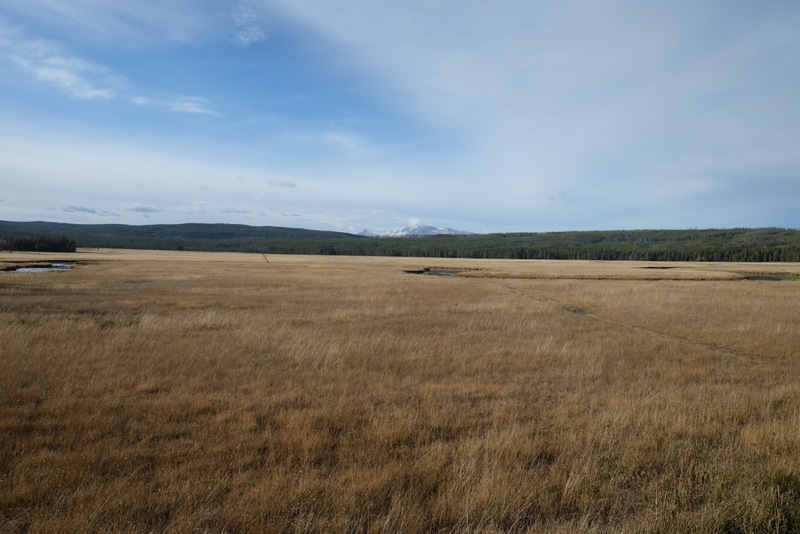 At Home in the Natural World: Yellowstone in October | A Continuous Lean. Yellowstone National Park is stunning all summer, but in October it’s even more stark and striking. The grass becomes the color of straw, the bison get frost in their fleece and mist rises off the rivers in the cold. Most of the crowds have gone–though there are still knowing visitors–and snow dusts the mountaintops. 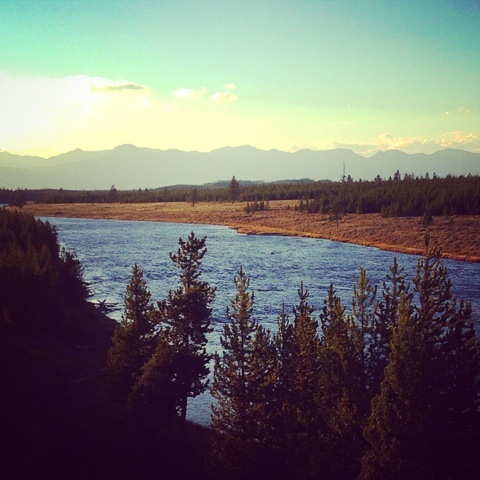 Then there’s the Madison River, the main attraction for anglers making their late-season pilgrimage to the Park. Brown trout head into the river to spawn, their color bolder, deeper red and gold. Following the fish are people who wake up early in the freezing dark to go stand in the water. In feels foolish at times, but when it all comes together it’s clear that it’s the right thing to do. Not to get too technical, but anglers patiently swinging a soft-hackle wet fly across large gentle riffles should get their reward. When you feel a determined tug don’t raise your rod tip and strike the way you normally would–that will break off the fish with devastating finality (we learned the hard way, more than once). Just a gentle lift and you’ll be into a large, spirited fish ready to fight. When you doing this at 9am under overcast skies while the park is silent it’s a special thing. 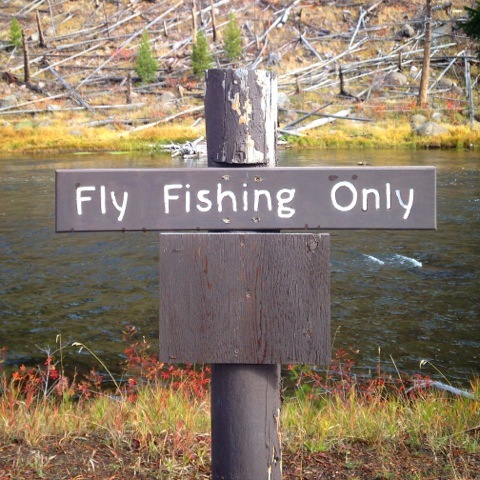 You can also fish hatches on the Firehole to more modest fish, which is certainly worthwhile. Stay in West Yellowstone, the easy going frontier town, at the west entrance of the park. 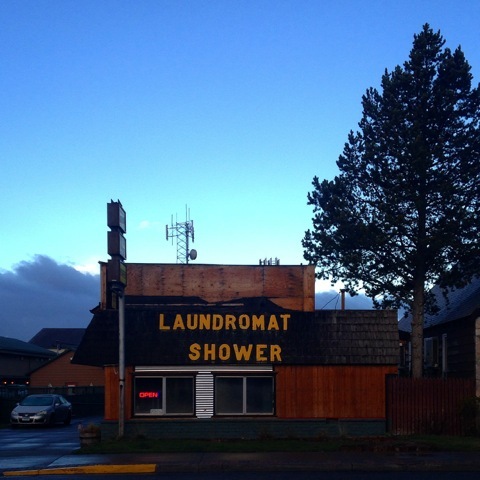 There are cabins at low rates, a few dive bars, a pancake house. The good bookstore has closed, but there are great fly shops, the well-regarded Blue Ribbon Flies and Madison River Outfitters. Whether you fish or not, everybody should head to the park and spend some time. There are well-marked hiking paths of all levels of difficulty, and brilliant drives with incredible vistas. 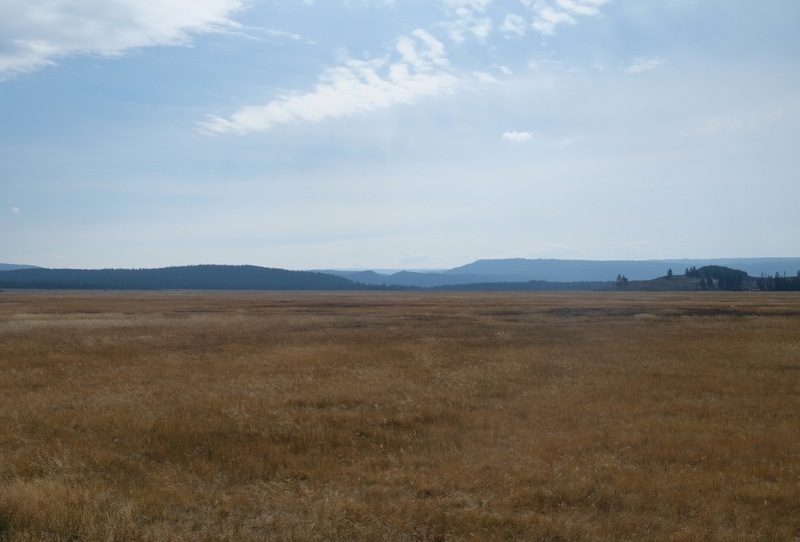 You’ll see elk, antelope, mule deer, of course herds of bison, and the occasional black bear. 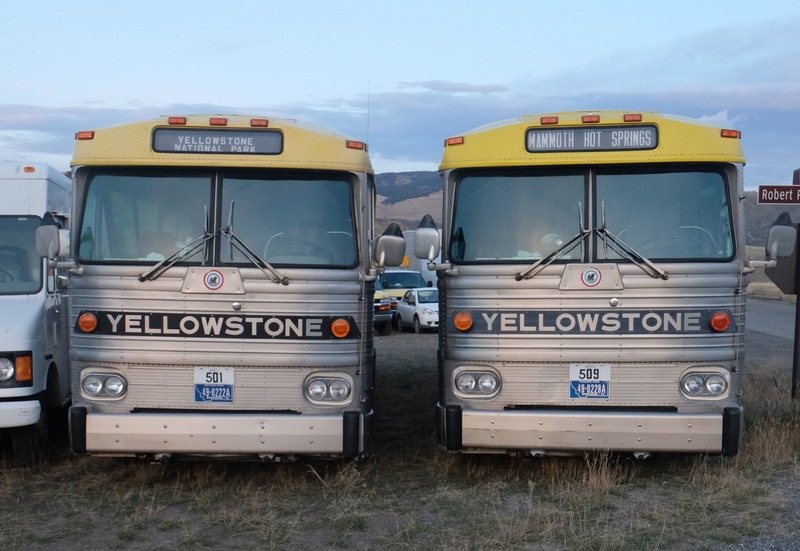 Yellowstone Park is one of the great legacies left to us in America. The foresight of those who founded and protected its ideals is nothing less than extraordinary. You feel humbled in the setting, ennobled by finding your small place in the natural world. 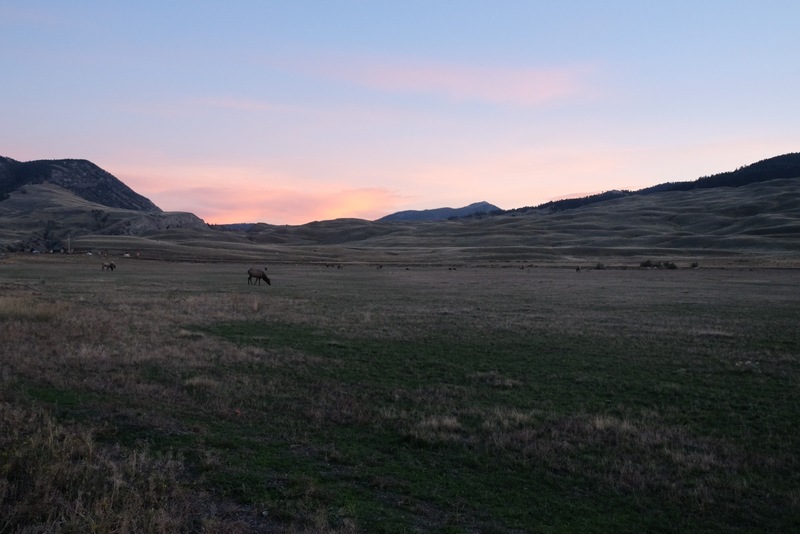 September and October are the most beautiful times to be in Yellowstone or anywhere in Wyoming. Thanks for the nice essay and photos.